The artist’s energetic and gestural strokes are her distinctive way of communication. 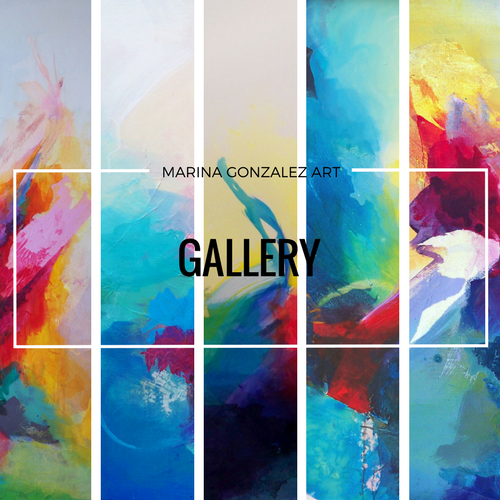 Presenting this communication via exceptionally large canvas will make you feel the space and equanimity while the artist transmits her emotional experience through bursts of colours. Spatial relation of her abstract expressions on the medium is a powerful transmitter of her state of mind to the observer. According to visitors, her art pieces emit peaceful and mystical energy and change their frame of mind to feel blissful euphoria. To experience the feeling by visiting the artist’s studio, please fill the form for an appointment. Thank you! We will send you an email for the confirmation. © Marina González del Cerro 2017. All rights reserved.